We are a renowned name that is actively committed towards offering qualitative Lemon Grass Herb Seed. 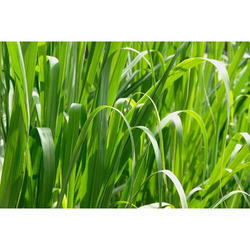 Our provided Lemon Grass Herb Seed is available in various packaging options for our clients. We have very good quality stylo hamata grass seeds (stylosanthes hamata) available in bulk quantity at wholesale price. Annual ryegrass seed is the most productive of all grasses but suited to one season only. It has rapid germination, an aggressive growth habit, and high production levels during autumn, winter and spring periods. With high feed value in terms of energy and protein it is ideally suited to intensive grazing, and hay or silage production. We produce and supply best quality Piper Sudan Grass Seed. We have also been exporting our seeds abroad to the complete satisfaction of our esteemed buyers regularly. Enfibre Industries offers wide of variety of grass seeds suitable for erosion control applications.